Escorts grade F01/KNAC & KNAE is a Non Asbestos composite brake block for railway application.It is a rigid hot process moulded in dark grey color having synthetic , minerals & organic fibers with highly thermally stable “Novalac” Phenolic powder resin as a binder in composition matrix to meet the strength & performance in terms of friction & wear properties. 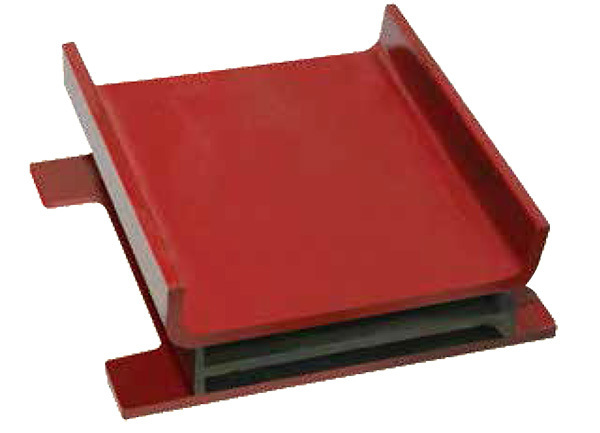 Escorts grade F03/LNAL is a Non Asbestos composite brake block for railway application. It is a rigid hot process moulded in dark grey color having synthetic , minerals & organic fibers with highly thermally stable “Novalac” Phenolic powder resin as a binder in composition matrix to meet the strength & performance in terms of friction & wear properties. 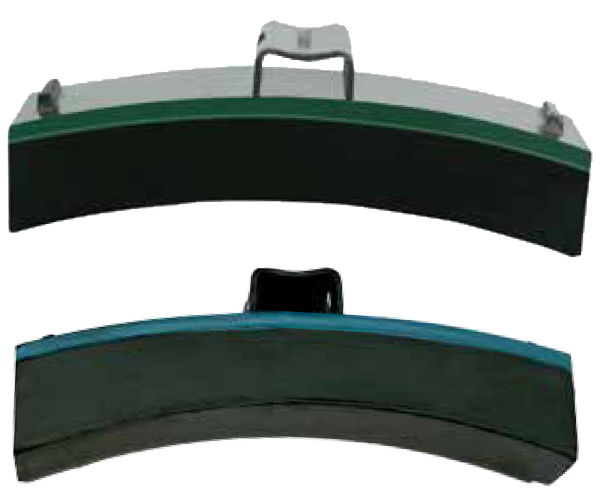 Escorts grade F04/LNAF is a Non Asbestos composite brake block for railway application. 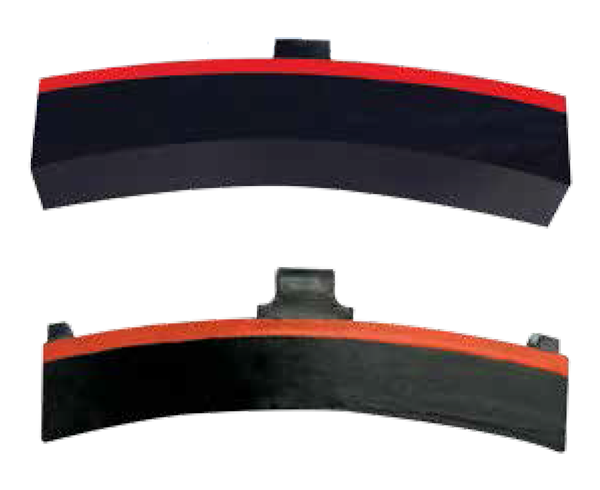 Escorts grade F05/KNAF is a Non Asbestos composite brake block for railway application. 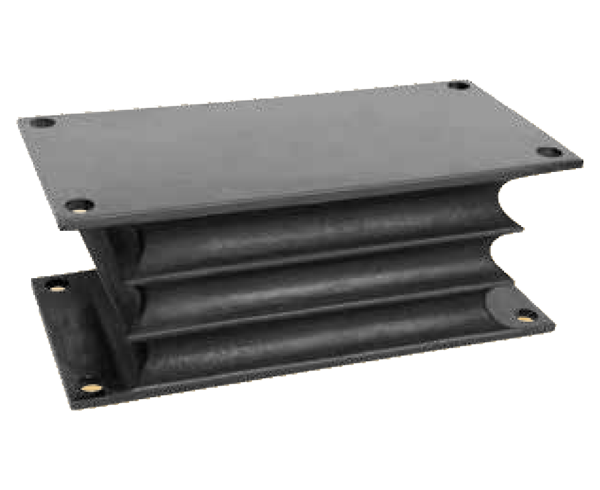 Silent Blocks are important component for rolling stock, which are made from premium quality of two concentric steel sleeves with rubber that ensures strong design and construction. 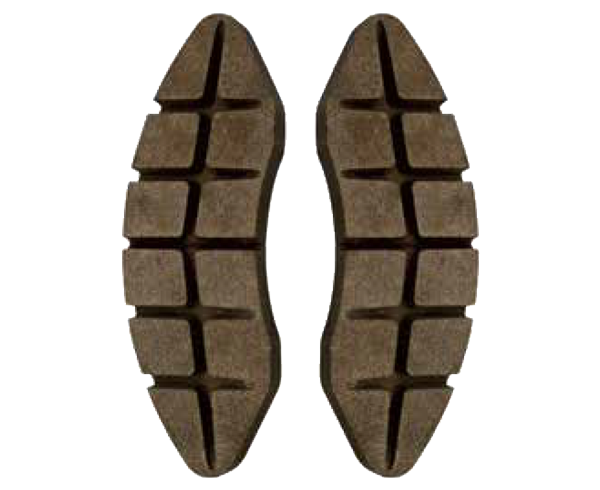 The rubber is pushed into the gap between two sleeves in order to fill up the void and vulcanized at constant temperature & pressure. Vestibule is also known as an Elastomer flange connection for intercommunication between passenger Coaches has been developed by Escorts. 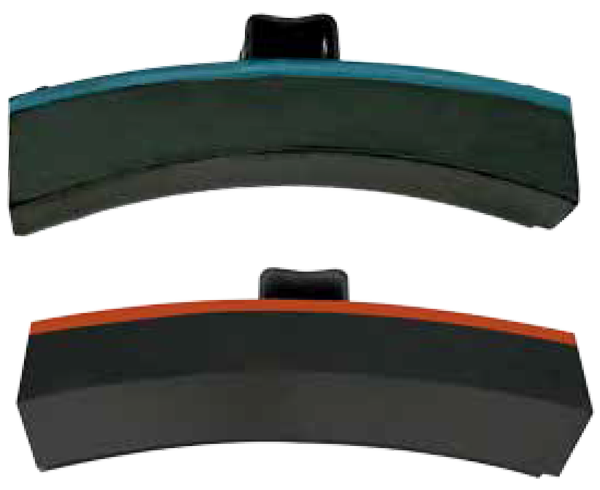 Side bearer is a Rubber to Metal Bonded product for Locomotives bogies. 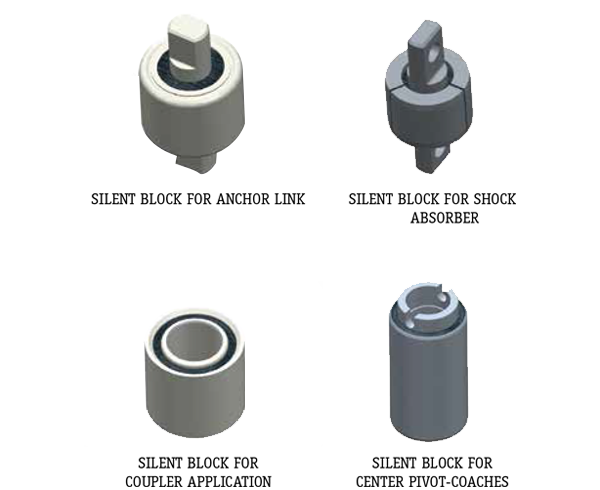 They are used in the secondary stage of suspension of high adhesion bogies of Locomotives. 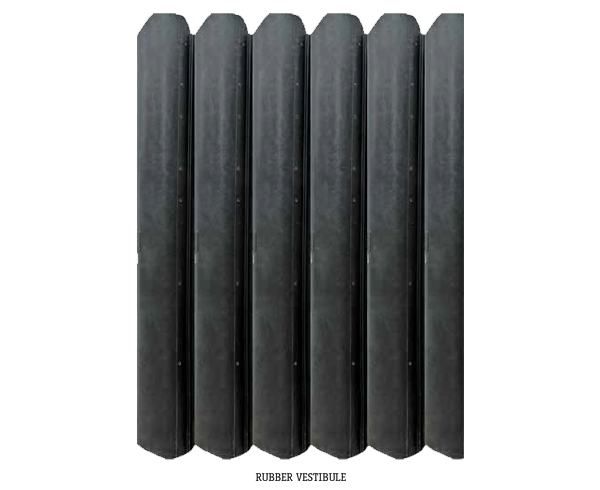 Modified Elastomeric Pad is a Rubber to Metal Bonded product for wagons. It acts as primary suspension in wagons, with differential stiffness in 2 axis for reducing wheel wear. 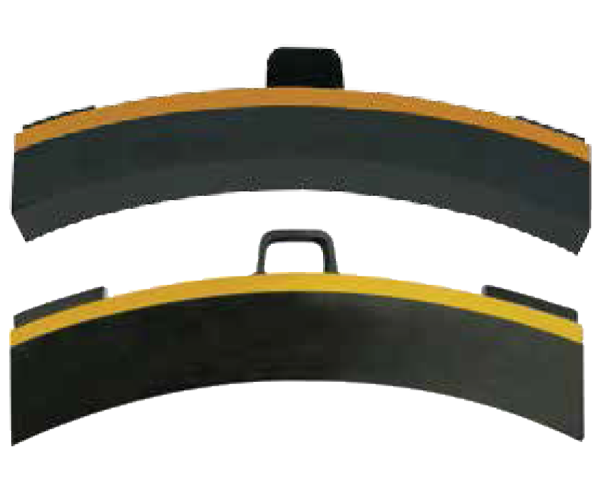 Suitable for high vibration absorption and provides reliable service conditions.